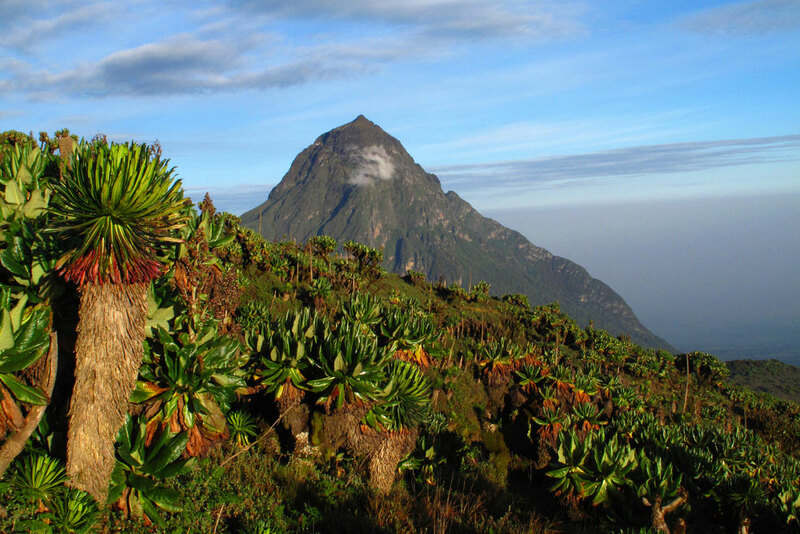 Virunga National Park is the oldest in Africa, founded by the Belgians in 1925. Today it is on the eastern border of the Democratic Republic of the Congo, adjacent to Uganda and Rwanda. 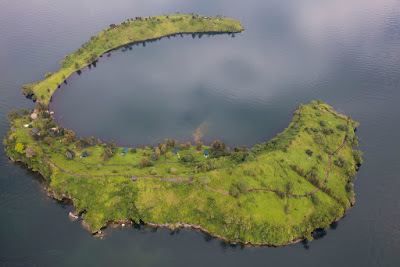 This region, of course, is where the long war that started with the Rwandan genocide was fought, a terrible conflict that some people think has killed more civilians than any other war since 1945. But lately the fighting has died down, poaching has been brought under control, and tourists are coming back to the park. 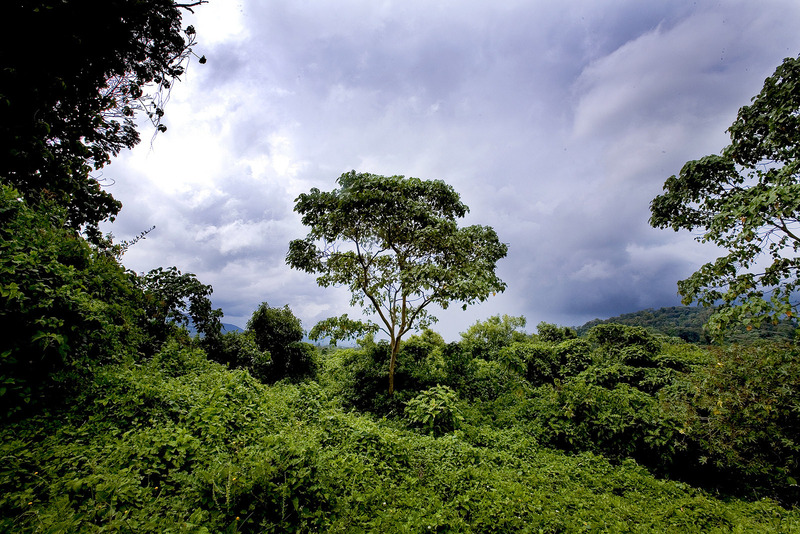 For a while it seemed that the park might be damaged by oil exploration, but the European firms that hold the oil rights have been pressured into backing off their claims. 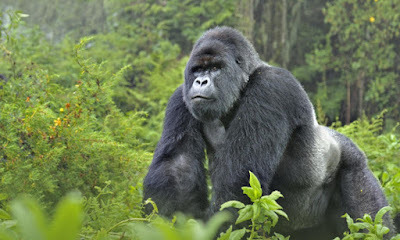 So with the violence easing and the oilmen scared away, why not think about visiting the park? 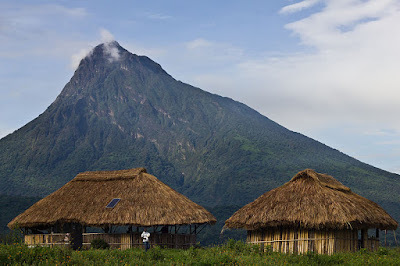 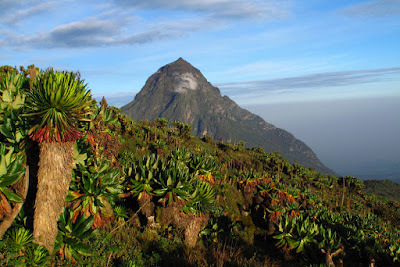 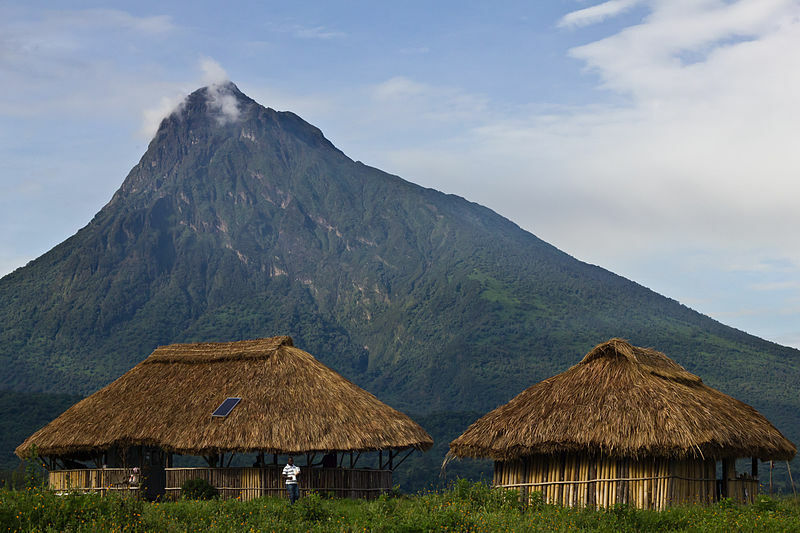 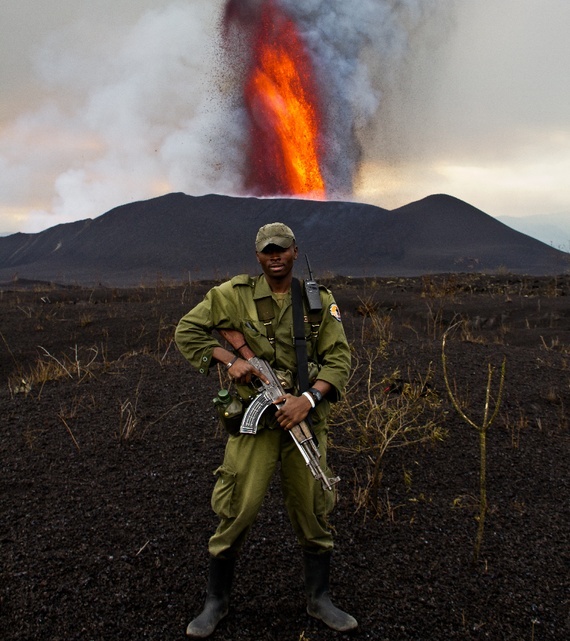 Virunga is home to Mt. 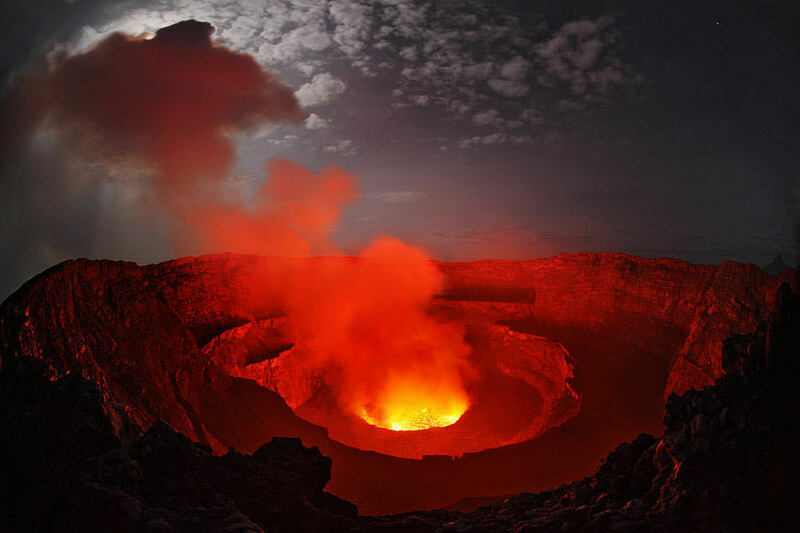 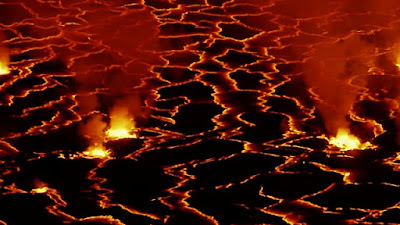 Nyiragongo, a spectacular volcano that holds what some say is the world's largest lava lake. You can hike up to the top and sleep in shelters overlooking the lava, lit by its glow. 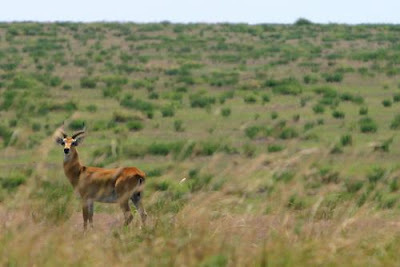 The park is huge, 3,000 square miles (7,800 sq. km), and it contains a variety of different ecosystems: wet highland forests, dry plains, wetlands, enormous lakes, steep mountains. 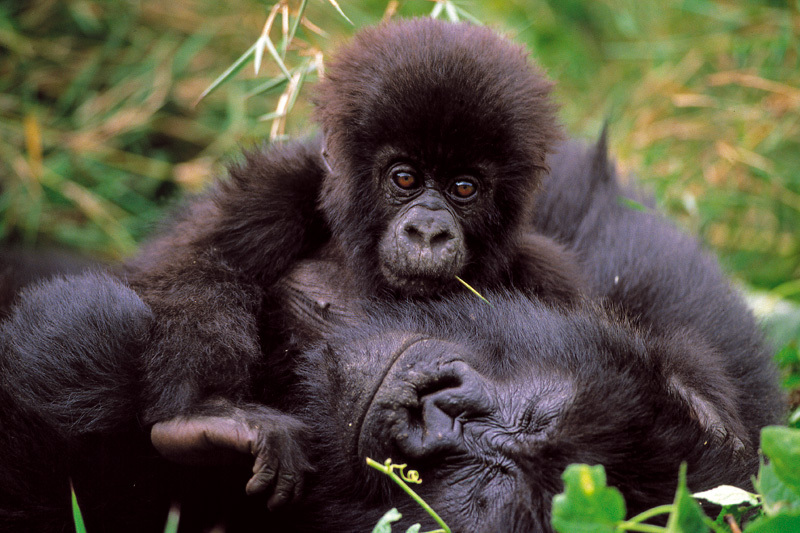 The park's most famous residents are mountain gorillas. There was a lot of worry that they might be wiped out during the war, when armed bands often funded themselves with poaching, but a recent census showed that their numbers are stable. 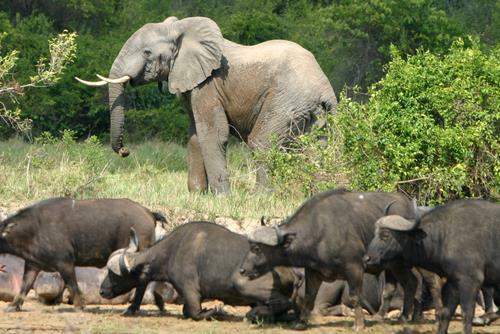 There are also chimpanzees, okapi, elephants, lions and many more animals great and small. So, as long as the fighting doesn't escalate again, the oil companies stay out, the rangers can outfight the poachers, and no other disaster strikes, a truly amazing place.